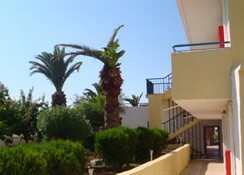 Oasis Apartments Kos is situated in a quiet location amidst attractive gardens and is the ideal destination for a relaxing holiday. It is also within short walking distance of the many bars, restaurants and tavernas in the area.The hotel has 59 rooms which are suitable for two or three guest and six apartments. 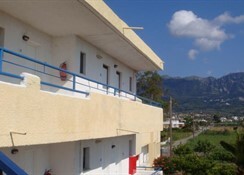 All rooms and apartments are fully-equipped with their own kitchenette including a fridge and crockery, private bathroom with shower and a private balcony.The Apartments also boast a swimming pool, a childrenâ€™s swimming pool, sun beds, a snack bar, a bar, 24 hour reception, TV lounge, air-conditioning, pool table and other games. Fans and safety deposit boxes are available for hire in the rooms. Only 500m separates the apartments and the sea and the bus station that connects Tigaki with Kos town and other villages is just five minutes away. 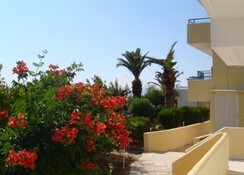 Oasis Studios is located 3 km from the centre of Kos Town and 1 km from Lambi beach. Distance to Airport is 30 km.The property offers following services and facilities restaurant, swimming pool, sun terrace, bar and WiFI. All studios have bathroom with shower, WC, dining area, kitchenette, mini-fridge, coffee maker, electric kettle, fan and balcony or terrace. **Arrivals outside reception opening hours will find a note at the reception in order to receive the key. While booking this hotel you are requested to send your flight number and arrival time. ** ** Please note that some of the above facilities may be closed due to weather, seasonal conditions. 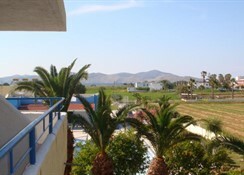 ** Address: Peleziki, Kos Town, Kos island, Greece. 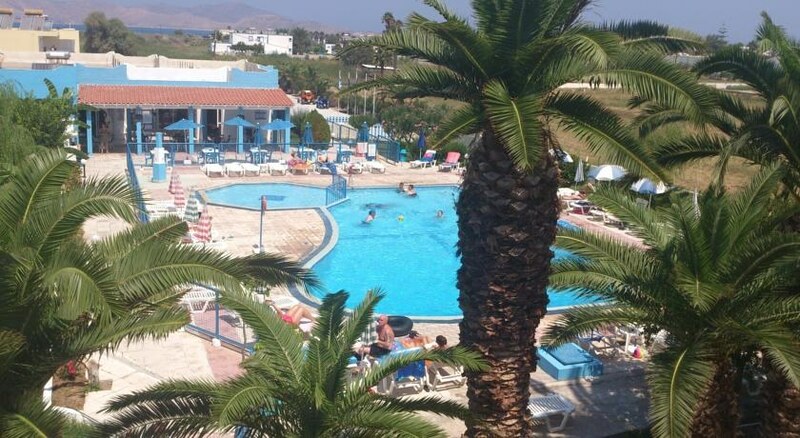 The self catered accommodation available at the Oasis Apartments Kos is ideal for any holiday, whether you are a couple looking for a romantic break, a family in need of somewhere peaceful, or a small group who wishes to enjoy the countryside. You will find a lovely outdoor pool at the Oasis Apartments Kos, which is surrounded by sun loungers perched on a terrace. 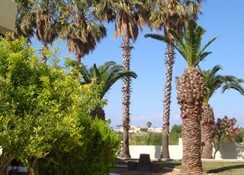 The hotel has 59 rooms which are suitable for two or three guest and six apartments. All rooms and apartments are fully-equipped with their own kitchenette including a fridge and crockery, private bathroom with shower and a private balcony. You can try making some traditional Greek dishes in your own kitchenette, or there is a wide range of restaurants, cafes and bars that can be found within walking distance. 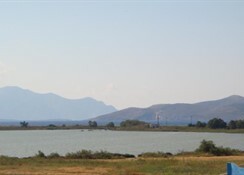 The apartments are situated next to Tigakiâ€™s salt lake which is a beautiful place to visit, especially during sunset. This accommodation is basis but clean and convenient for walking into town for shopping, the restaurants, bars and to the excellent beaches. The staff are very friendly and accommodating. I would recommend it to those on a budget and I would come back here again.